Partner Rehan Alimohammad was elected as Chairman of the Board for the Fort Bend Chamber of Commerce. The Chamber represents the business interests of one of the most diverse counties in the U.S. Rehan Alimohammad, an Attorney and CPA, is Partner of the Texas office of Wong Fleming, and becomes the first Muslim to serve as Chairman of the Chamber. He has served as Minority Director for the State Bar of Texas, and in 2017 become the first Asian and first attorney from Fort Bend County to become Chair of the Board for the State Bar of Texas, the 3rd largest state bar with over 100,000 members. He is AV rated, has been named one of the top lawyers in Houston by Houstonia magazine, and was named one of the 5 Most Outstanding Young Texans in 2011 by the Texas Junior Chamber of Commerce. You can contact him at ralimohammad@wongfleming.com or 281-340-2074. Rehan Alimohammad is a Partner in the national firm of Wong Fleming in the Sugar Land, Texas office in charge of Immigration Law and Tax law. He is a CPA since 1999 and Attorney since 2001. Mr. Alimohammad’s practice is concentrated in the areas of commercial litigation, immigration, and taxes. 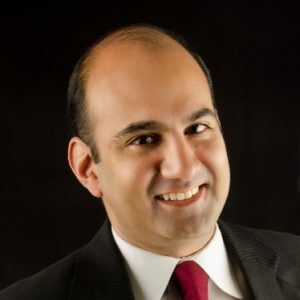 In addition to his heavy involvement in the community and State Bar organizations, Mr. Alimohammad has written over 380 legal articles, given over 200 free legal seminars, and trained over 300 individuals, including Attorneys, CPAs, and Enrolled Agents, on how to resolve tax issues with the IRS and state tax agencies.